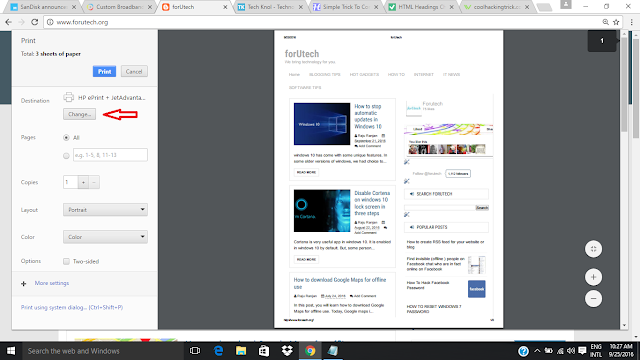 Suppose if you like some article on any webpage and you want to study it offline, then you are at right place. you will learn a very easy trick by which you will be able to convert any webpage into a PDF file. At first go to your Google chrome browser of your computer. Now, open the webpage you want to convert into PDF file. Just press "Ctrl + P" for windows operating system and "Command + P " for Mac. you will see a print dialog box. Now go to change destination as below pic. 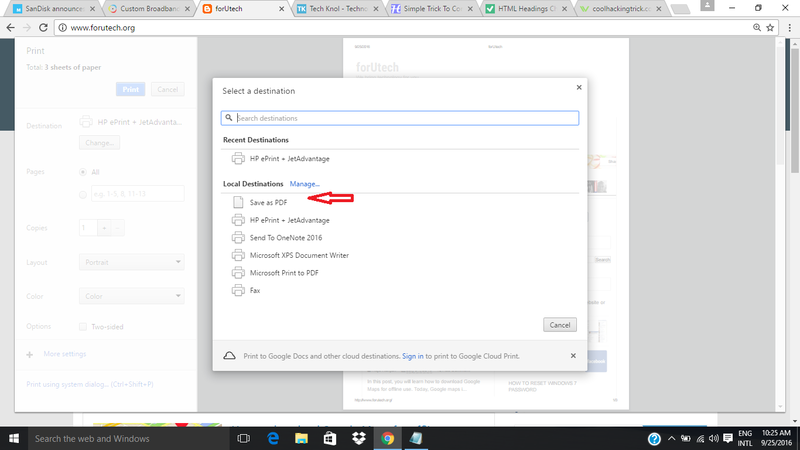 Change the destination and click on "save as PDF". Finally Hit on save button. yes you have done this. now you can read this webpage offline. In this way, you can easily convert a webpage into PDF file. What a stuff of un-ambiguity and preserveness of precious familiarity concerning unexpected emotions. Continue Reading: How To Learn To Password Protect Folder In 1 Hour.